Flood protection at a moments notice! 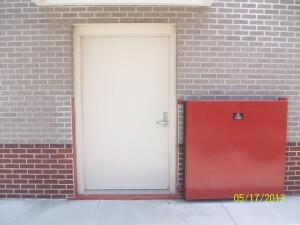 Perfect for locations that are subject to flash or frequent flooding, hinged flood barriers are available in both side hinged and bottom hinged designs. Side hinged barriers are available with three different gasket configurations, and can also be supplied with dual panel assemblies where space constraints preclude a single panel. 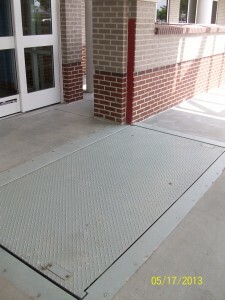 Bottom hinged (or “flip-up” ) flood barriers can be used when interference issues preclude the use of side hinged barriers. They are recessed flush into the ground surface. Hinged lipseal flood barriers – WK Model FG-LS: A flush bottom sill and economical price make this a popular choice. This design is appropriate when water pressure is from the exterior side (seating direction) only. Hinged inflatable gasket flood barriers – WK Model FG-I: Similar to the lipseal gasket barriers, this model has a flush bottom sill and is designed to withstand water pressure from one direction only. An air source is required in order to inflate the gasket. This design performs best when installed in interior locations in order to prevent gasket damage. Hinged compression gasket flood barriers – WK Model FG-C: When flood water can flow from both directions, you want the security of a compression gasket flood barrier. This design requires a raised bottom sill. 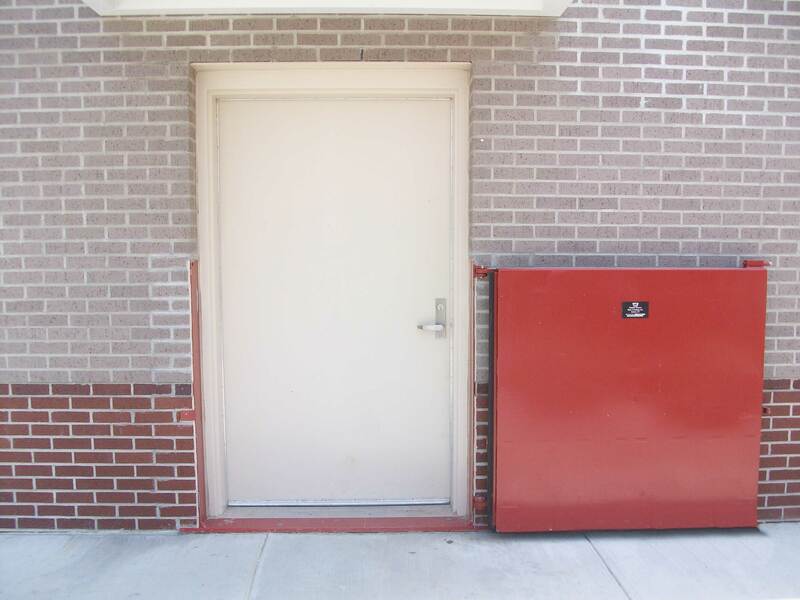 Manual bottom hinged flood barriers – WK Model FG-BH: Normally installed flush into the ground surface in front of the opening, these flood barriers offer flood protection that can be deployed in minutes. Small barriers can be manually lifted into place, while larger barriers require either manual or power assist. The AutoRising flood barrier – WK Model FG-AR: Flood protection 24/7 without human intervention! This automatically deploying bottom hinged flood barrier is also recessed flush into the ground surface and closes automatically based on the principles of buoyancy. No power is required.